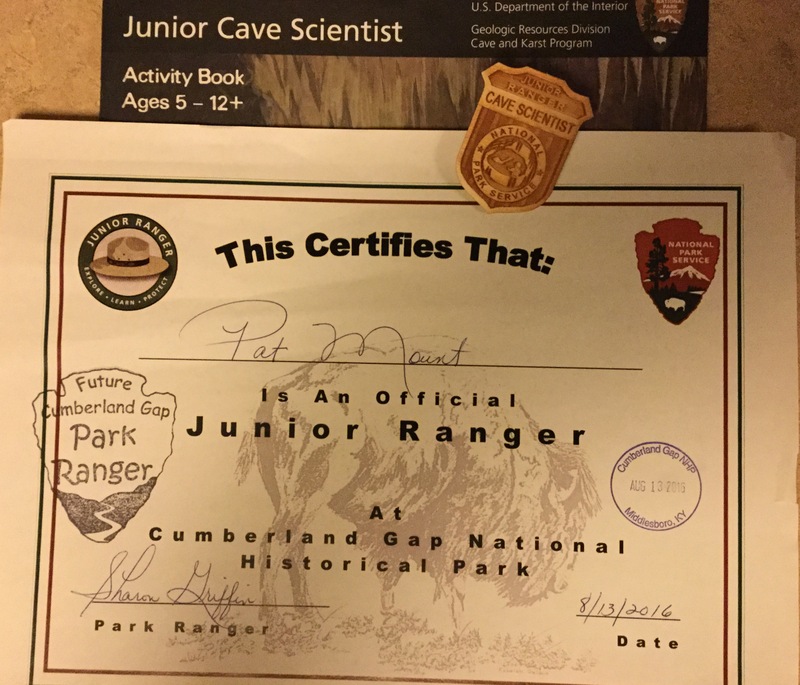 I completed Mammoth Cave National Park’s Junior Ranger program during the NPS Centennial Year, 2016. 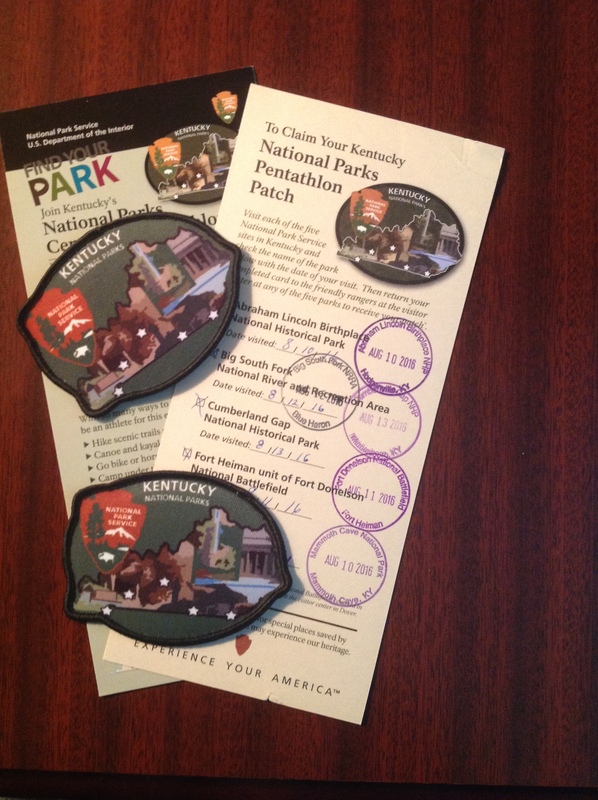 During this year Kentucky NPS sites offered a special award, a patch, if you completed visits to all five of their park sites. Along with this park we also visited; Abraham Lincoln Birthplace NHP, Big South Fork NRRA, Cumberland Gap NHP and Fort Heiman/Fort Donelson NB. This is a park site we had visited several times in the past, but had never taken the time to complete their program. Due to our travel schedule we were not able take a cave tour, luckily the Junior Ranger program can be completed without taking a cave tour. We were able to explore several trails while in the area. This program is Senior Friendly, as there are four age groupings, and the upper age group is listed as Ages 12 & up. Their requirements for each age group is listed as Bat Points, each activity earns you one to two bat points and there are 28 different activities. The four age groupings and the required bat points are; Ages 4-5 – Collect 5, Ages 6-8 – Collect 9, Ages 9-11 – Collect 12 and Ages 12 & up – Collect 15 Bat Points. The activities are; Put Your Ranger Hat On, Arrowhead Challenge, Decode Your Mission, Junior Researcher, Invent a New Cave Critter, Humans & Bats, Trog Word Search, A-maze-ing Cave Exploration, Let’s Go Caving, What’s Wrong With This Picture?, Caving Through Time, Karst-Word Puzzle, Rock Around the Park, Fossilmania, Tick-Tock, Drip-Drop, A Natural Menu, Watchable Wildlife, Animal Scramble, Nature Scavenger Hunt, Notebook Mix-Up, Early Guides of Mammoth Cave, Making Money from Dirt, Are We There Yet?, A Green Visitor Center and A Home To Be Proud Of. That’s a lot of activities, what I like about this program is the variety of activities, which add up to 39 possible Bat Points. I also think the names of the activities are very well done, intriguing which led me to complete all but two of the activities. Most of the activities were fairly simple, there is a description or information given and then a short activity to complete. Probably my favorite activities were either based on history, Caving Through Time and Making Money From Dirt, or on geology, Karst-World Puzzle, Rock Around the Park and Fossilmania. I always enjoy completing the scavenger hunt activities, including this one. The Nature Scavenger Hunt had 24 squares of primarily plants and animals. Because we hiked several trails in the park I located quite a few of the items. For the “Free Space! Draw Your Own” I drew a cicada, in August and on a hot day, they could be heard and their shells were found on the ground. The ranger in the visitor center reviewed my booklet and awarded the enhanced Junior Ranger badge, featuring two cave explorers standing at the mouth of a cave. 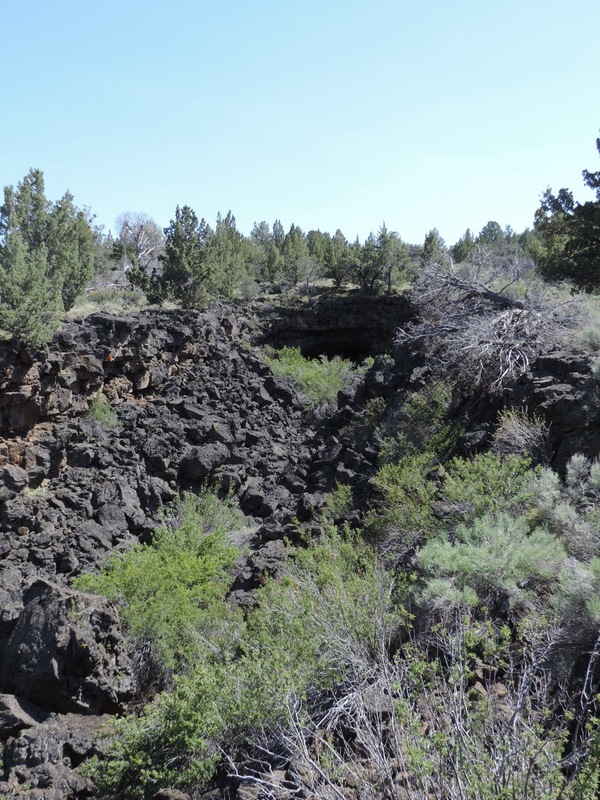 While traveling in northern California during June 2016 I visited Lava Beds National Monument and was offered this booklet. 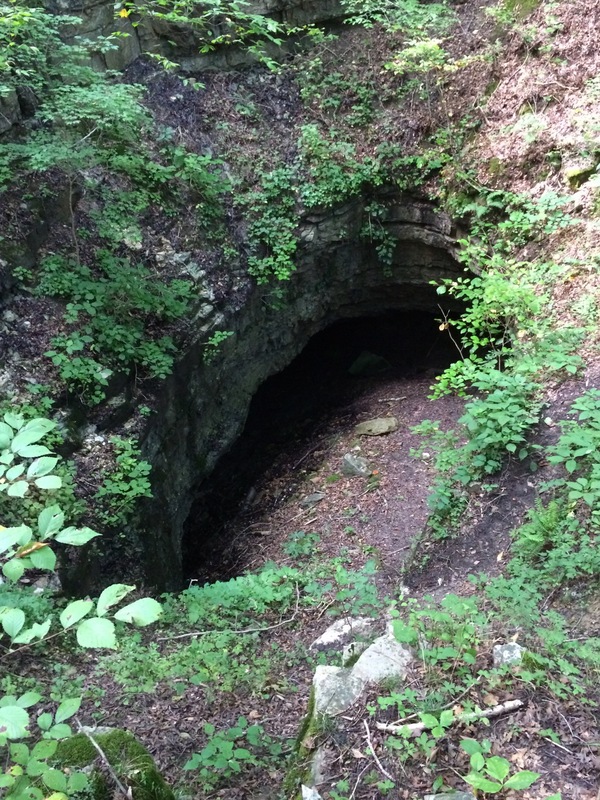 It is produced by the Geologic Resources Division, Cave and Karst Program (www.nature.nps.gov/geology/caves/index.cfm). This is a program which can be completed over a period of time and at multiple park sites. I ended up turning in the boomlet at Cumberland Gap National Historic Park in Kentucky. This program is considered Senior Friendly as there is no upper age given. The three age groups are: Flashlight, ages 5-7, Lantern, ages 8-11, and Helmet and Headlamp, ages 12 and up. To earn this badge you are to complete the number activities equal to your age and in your age category. In total there are nineteen different activities, they are; What ate Caves and Karst?, Be Cave Safe!, How to be a Careful Caver, Name that Cave, Icing on the Cave, Troglofauna Trio, Reveal the Mysteries of The Cave Dwellers, Cave Microbiology, Flying Mammals, Zones of a Cave, Dispelling Batty Myths, Uncover the Mystery of the Bat Killer, Finding Fossils in Caves, Evidence of Ancient Animals, Travel Back in Time with Cave Archeology, Karst is All Around You, Living with Karst, Find a Solution to the Pollution and Caves Need Care. 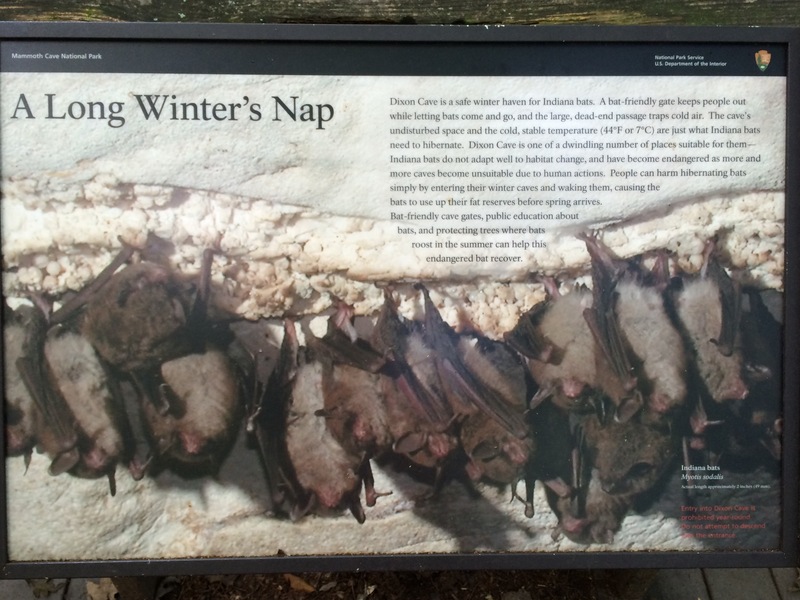 Some of my favorite activities were learning about Troglofauna Trio, the different animals which live in caves, Bat Anatomy on the Flying Mammals page and labeling fossils found in caves as body or trace. There is a lot of information within the pages of this booklet, most pages include some background information which helps you to complete the activity. You do not need to visit any one park site to earn this badge. 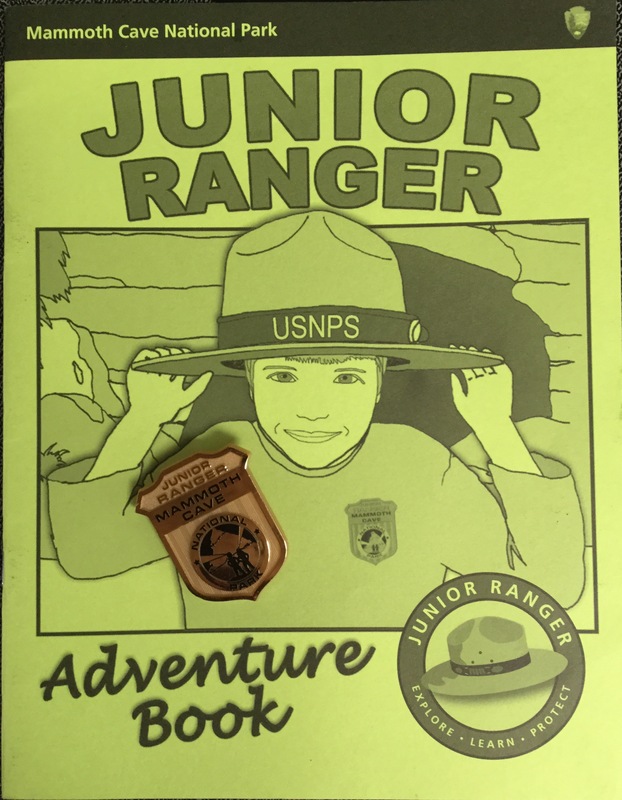 The ranger at Cumberland Gap NHP was very enthusiastic to review my booklet and award me the unique wooden badge and certificate. I had stamped the booklet with the NPS passport stamps at Lava Beds NM, Mammoth Cave NP and at Cumberland Gap NHP. This was a very educational program which provided me with lots of valuable information about caves; their ecology and geology.